Dominion Roofing Co. has been serving home and business owners in Montgomery County, MD for more than 30 years. We are the local roofing contractor you can rely on for high-quality exterior services including gutter repair, siding installation, inspections, repair, and roof replacement in Montgomery County MD. Whatever the cause or the extent of your roofing requirements, Dominion Roofing Co. has the expertise and experience necessary to complete your exterior home or business project, fast. We take our reputation very seriously. Our dedication to superior customer service and quality workmanship is what separates us from other roofing companies in Montgomery County. Contact us at (301) 942-2009 or complete the contact form! I highly recommend Dominion Roofing. Bill came quickly, thoroughly assessed our problem, and fixed it immediately. There was a rainstorm later that evening, and he texted me to check in and make sure his repair held up - which it did! He was very professional, honest, and explained everything. Highly recommend! Bill is the man. He came exactly on time and walked me through the whole process. I don't understand roofing and he took pictures, drew me a diagram and explained exactly what was wrong, how the roof should look and what the fix was. If you need a trustworthy person to come look at your roof, I would call Dominion Roofing. I was extremely impressed with the professionalism and workmanship of Dominion Roofing. They installed our new roof in a timely manner at a fair price and did a great job to boot. Two seemingly small but important things stood out to me. First, during the March windstorm (when gusts reached 70 mph) about 6 feet of the ridge vent on our roof was lifted up, exposing the interior of our house to the elements. With rain in the forecast, I was desperate to find a roofer to repair the vent promptly. Bill Fowler of Dominion responded immediately and fixed the vent within 2 hours of my contacting him. No one else responded until the next day. Even more impressive, instead of charging for his time, Bill simply asked that we consider Dominion when we replaced the roof. Well, we did and we're glad we did! Second, on the morning the roofers came, I asked the crew chief if he could clean the 2 skylights when they finished the roof. The crew worked tirelessly from 7 in the morning until 7 at night. They had worked so hard and done such great work that I didn't have the heart to remind the crew chief about the skylights. It tuned out I didn't need to remind him. The last thing he did before leaving was to clean the skylights. Very impressive!I could not be more pleased or impressed with Dominion Roofing. I am SO impressed with this company!!! After a bad wind storm, we lost several roofing tiles at our house. Bill came out quickly and did a beautiful repair, even taking the time to exactly matching our old tiles to our new tiles. I HIGHLY recommend this company!!! They do excellent work at a reasonable price! We used Dominion Roofing to replace our 24 year old roof and couldn't be happier. Bill was very friendly and easy to work with. We had a lot of damage to the plywood underneath and to the wood trim and Bill worked with us every step to explain how they would fix it which made us happy. They fixed all of the wood and wrapped the trim in aluminum. His guys did a great job and even did a awesome job with cleanup. My yard was spotless when they were done. We are very happy with the results and how easy Bill was to work with. I would recommend Bill to anyone who needs a new roof! We highly recommend Dominion Roofing for all your roof requirements. The professionalism and industry knowledge of Bill Fowler, the Owner, was well beyond our expectations. Bill's personal attention to every detail of the job form start to finish was extremely impressive. Our entire roof was removed and replaced with a high level of care and concern and looks fantastic. The installation crew was courteous and careful and the post-install clean-up was immaculate! We have never had a more attentive contractor in our 39 years of homeownership. Another great job by Dominion Roofing; well done! I contacted several roofers (some who I had worked with on MULTIPLE projects) to help me with a home renovation/addition and I was not only impressed by Dominion's quick response to my initial inquiry but they were out to the house within 24 hours (it was the weekend!) to inspect the roof AND I received a quote the same day. I was so impressed with their assessment of the roof (other companies wanted to quote off of tax records and google earth images verified by a 2 minute stop at the house) where as Bill at Dominion took the time to go up on the roof and inspect the new and old portion. We are so happy with the roof, the water issues have been resolved, the crew showed up on time, and they could not have been nicer, or more neat with materials and debris etc. They are worth the 5 star review and more!!! I am delighted with my new roof and grateful to Bill for making the whole process much easier than I'd expected! Bill responded to all of my questions promptly and was particularly patient with my indecision about materials. We were delayed by weather and Bill apologetically kept me informed about the unavoidable changes in the schedule. The crew was spectacularly neat (special thanks for keeping the garden safe!) and worked late hours to complete the project as quickly as possible. I always want to use local businesses whenever I can, and I would recommend Dominion Roofing without hesitation. We called Dominion Roofing for an emergency siding repair. Bill came out to look at the damage within 24 hours and had a crew at our house the very next day. It wasn't a big job, but he treated us as if it was. We will definitely call Dominion Roofing again if the need arises. Dominion Roofing recently installed a new roof on our 20-year old home. They were great to work with and kept us up to date on plans and progress. With their help, we chose architectural shingles for the main portion of the roof, and metal panels for some accent sections. They also installed new gutters to improve water flow. They followed up to make sure we were happy with all of the work they performed. We are extremely pleased with our new roof and would recommend Dominion Roofing to others. We had several estimates from different roofing companies when we decided to replace our 25-year-old roof which includes a lower roof and an upper roof. Between two finalists whose estimated prices were in the same range, we went with Dominion Roofing Company (Kensington, MD).The main reason: Dominion Roofing Co. (DRC) itemized everything that needed to be done, while other companies who submitted proposals did not. DRC guarantees its workmanship for 10 years, provided the premium materials (roof-lining)--not the 15-lb or 30-lb quality, the Certain Teed architectural shingles (30-year warranty), installed drip-edges all around, replaced all flashing, and fixed damaged wood of the roof for free for several spots.None of the other roofing companies are up front in their proposals. Also those companies did not propose premium materials, nor install drip-edges, nor replace old flashing, and offered shorter warranty.So do look at the small print, the details, besides the estimated prices.DRC sent a crew of 6 men for the job. They worked from 7:30 AM to 4 PM and completed the job in a speedy and efficient manner. The afterwork cleanup is commendable.The owner of DRC, Bill Fowler, is approachable, low-keyed, and very accommodating. His gentility left a good impression on us. His crew was professional and helpful when asked on technical issues regarding the work being done. Dominion Roofing Co. has been repairing and replacing weather-damaged roofs in Montgomery County, MD for decades. We will do everything possible to repair your roof and secure your home or business as soon as possible. When you need the professional services of one of Montgomery County’s top home roofing contractors, contact Dominion Roofing Co. We’ll provide a premium selection of roofing systems from leading manufacturers and will minimize disruption while providing outstanding customer service. We offer roof replacement of flat roofing, cedar roofing, shake roofing, asphalt shingles and much more. Although “roofing” is our middle name, we offer many other home exterior services as well. Dominion is your go-to contractor in Montgomery County, MD for all exterior services. Our professional team can assist with home improvements such as siding installation, gutters, soffits, and more! Call on Dominion Roofing Co. for your Montgomery County, MD commercial roofing needs. We approach your commercial repair and installation with the same care and dedication we offer all customers. We respect your need to do business and will do everything possible to keep you operational. We honor your expectations, and will complete your project, no matter how big or how small, in a timely, efficient, and cost-minded manner. 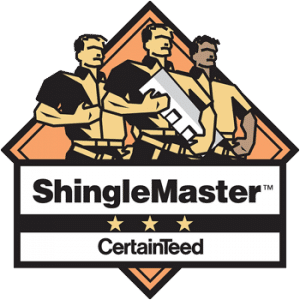 Talk to a Trusted Roofer in Montgomery County, MD Today! We offer no-obligation estimates, and will inspect your roof should you suspect a leak or water stain is the result of roof damage. Contact Dominion Roofing Co. for all of your exterior home and business projects in Montgomery County, MD. There’s no better way to protect your home and business.